Cayenne pepper, chili powder, and paprika all add color and spice to a variety of dishes. They are popular ingredients in Spanish, Tex-Mex, Indian, and other cuisines that are fond of a bit of heat, and many people tend to substitute them for each other. Despite their common spiciness, though, these three spices are different not only in terms of origin, but also in terms of taste and usage. This article will explain the difference among the three. Cayenne pepper comes from a specific variety of the plant Capsicum anuum that traces its roots to French Guiana. The cayenne pepper plant has a long, thin, bright red fruit. This fruit is then dried and ground to produce a coarse, flaky powder that often contains pieces of pepper seed. The end-product is popular in Asian cuisines, as is the unprocessed fruit itself. Cayenne pepper has a Scoville Scale rating of 30,000 to 50,000 SHU, making it a very hot spice. Chili powder comes from the dried and powdered fruit of chili peppers or any of their varieties. While it is often made from cayenne peppers, chili powder can have other varieties of Capsicum anuum, such as jalapeño or ancho, as its base. 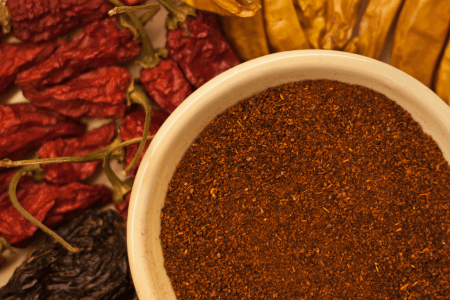 Most chili powders commercially available also contain cumin, garlic powder, salt, and oregano.This type of spice is popular in Tex-Mex, Indian, Chinese, and Thai cuisines, which require both spiciness and pungency. Because different chili powders have different compositions, the heat level varies a lot; the Scoville Scale rating for a typical chili powder is lower than 30,000 SHUs. Paprika comes from the larger varieties of the Capsicum family, including bell peppers and sweet peppers. This spice is made from air-dried, finely-powdered, and sometimes smoked large peppers, sometimes blended with other types of ground pepper. Paprika varieties from different countries have different tastes; some have a mild “bite” while others are hot and pungent. Hungarian and Spanish cuisine use paprika heavily; paprika is almost synonymous with Hungary and its signature dish, goulash. Most paprika is slightly sweet and pungent, with a Scoville Scale rating of below 500, making it a very mild spice. What are the differences between cayenne pepper, chili powder, and paprika? While they may look the same to the untrained eye, they have many differences that make them easily distinguishable from each other. Cayenne pepper comes from dried and ground cayenne peppers, which trace their roots to French Guiana in South America. Chili powder, in turn, comes from dried and ground hot peppers, such as cayenne, mixed with other spices such as cumin. Finally, most paprika comes from sweet Capsicum pepper varieties, such as bell peppers. 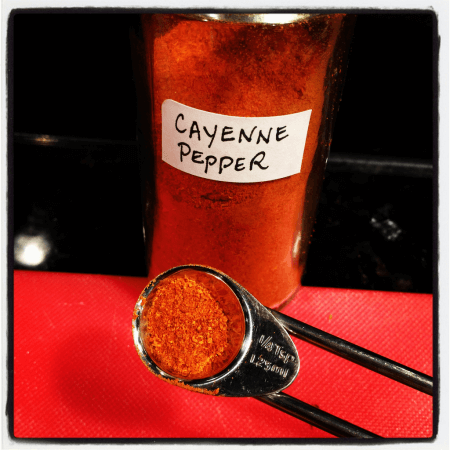 Cayenne pepper tends to be a bit coarse and flaky, with a bright red color. Chili powder, because of its blended spice content, has a fine texture and a brownish-red hue. 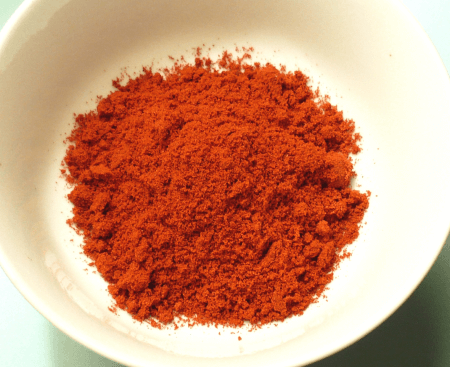 Lastly, paprika is a fine, bright red powder. Cayenne pepper, in its purest form, is classified as very spicy. Chili powder is not so hot since it contains other spices with lower heat content, although these other spices give it some pungency. Compared to the other two spices, paprika is slightly sweet and pungent. Cayenne pepper is very popular in Asian cuisine, such as Korean and Sichuan. Meanwhile, chili powder is a bit more versatile and features prominently in Tex-Mex and Indian dishes. Paprika, thanks to its Eurasian influences, is most often associated with Hungarian and Spanish cuisine. Cayenne pepper is the hottest of the three, measuring between 30,000-50,000 SHUs on the Scoville Scale. Slightly lower on the Scoville Scale is chili powder, with a rating of lower than 30,000 SHUs. Paprika, compared to the two, has a very low heat rating, with the hottest varieties only going up to 500 SHUs.